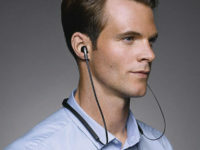 The Klipsch R5 Wireless offers good audio quality, excellent portability and superb comfort when worn. If you need a comfortable pair of wireless earbuds you can’t go wrong with this. The gradual shift in how we listen to music and the steady decline of the wired audio jack have resulted in a growing need for high quality wireless headphones and audio purveyor Klipsch, an old hand in creating some of the best audio kit in the business since the 40’s have tossed their hat into the ring with their Klipsch R5 wireless in-ear headphones which we had the pleasure to field test. 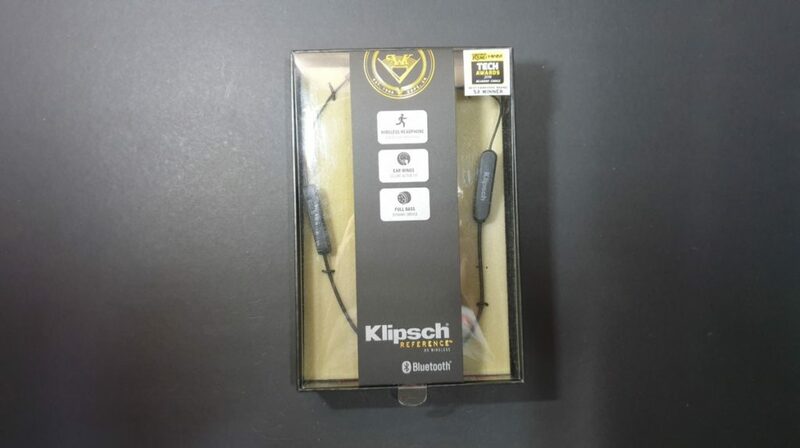 In terms of packaging, the Klipsch R5 is rather well appointed with the headphones ensconced within a large cardboard box with a see-through plastic panel up front so you can take in everything at a glance. Pop the lid open and you’re greeted with quite a generous assortment of extra kit. 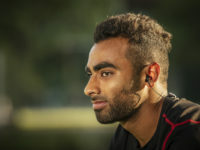 On top of the R5 Wireless headphones themselves, you get a micro USB charging cable, an alternate set of earbuds for differently sized ears, an option to add on ear-wings that offer a more secure fit when you wear them and a soft velvet drawstring carrying case to store your R5 in if it’s not otherwise perched on your neck. Externally, the Klipsch R5 comes done up in a matte black finish and primarily consists of a pair of soft silicone earbuds and a pair of matte black plastic housings, one of which acts as a set of remote controls for the R5 while the other acts as a non-functional balancing ballast of sorts to ensure it doesn’t end up lopsided when worn. The control housing sports a large set of tactile controls that allow you to feel your away around by touch alone with a large plus and minus sign to manipulate tracks as well as volume paired up with a large rounded power button. 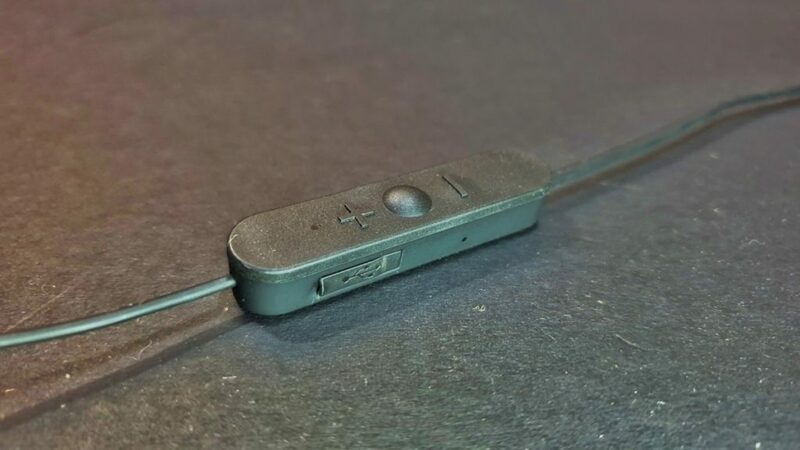 The housing also has a microUSB port for charging duties for the built-in 110-mAh battery. 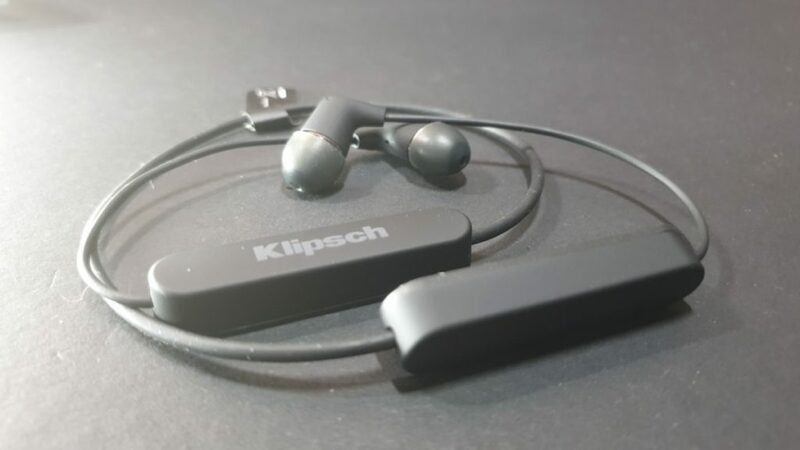 Alternatively, if you prefer a neckband style setup, you can opt for its sibling the Klipsch R5 Neckband which has the aforementioned form factor rather than a wire for a small trade-off in weight. One particular quibble here is that the R5’s charging port has a protective cover over it that proved to be particularly annoying to open up. While it has a little notch for you to gain purchase with your fingernail, it’s a challenge to do so especially if you’re in a hurry. That vexing annoyance aside, the Klipsch R5 wireless looks and feels well made with an understated design complemented by its hard wearing matte black finish. 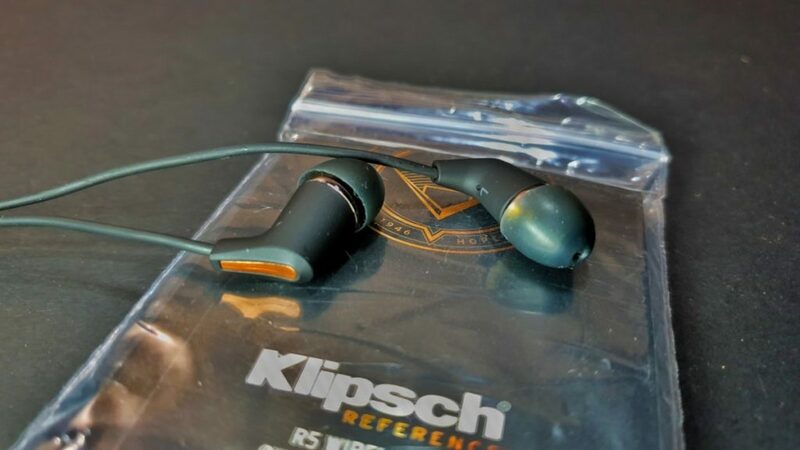 As far as headphones go, the Klipsch R5 wireless is exceptionally low profile indeed with the company logo done up in a subtle gray over one of the housings the only indicator of its distinguished provenance. Designed for all-day usage, the Klipsch R5 Wireless proved to be exceptionally light when donned. When wearing headphones all day, ear fatigue often sets in with a growing amount of discomfort as time goes by but the Klipsch R5 addresses this with their own unique take on design. 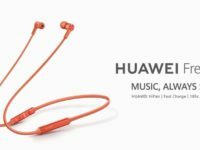 The headphones are angled so that they point straight into the ear canal and the earbuds themselves are a patented design that incorporate oval-shaped earbuds that ensure a tight seal and excellent comfort even with extended use. Getting it up and running required charging it for a couple of hours beforehand out of the box and after a test fitting and the addition of the ear wings, the R5 offered up a very comfortable and secure seal with a modicum of passive noise suppression. 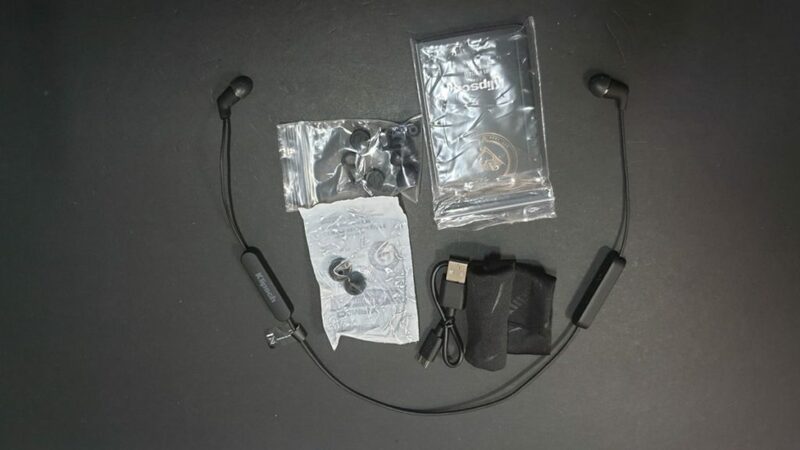 If your ear canals are a bit smaller, you can swap out the existing earbuds for the alternatives provided in the box. Once that was sorted out, pairing it with an Android phone, in this case a Galaxy Note8 was a swift, fairly straightforward process. When worn over the course of several weeks, the Klipsch R5 Wireless grew to become an unobtrusive and capable addition to my everyday carry. It was light enough to wear that more often than not, I didn’t even feel it was perched on my neck. It proved exceptionally secure as well and stayed on even while running at a dead sprint for the last bus heading south for the day. Its compact nature also lends it well to travellers as it is small enough to cram into a go-bag without undue trouble. This was significantly helped on account of the R5’s amazingly comfortable oval-shaped silicone ear tips and the addition of the ear wings. Much like their prior offerings, the oval-shaped ear tips offered exceptional comfort even after a whole day’s worth of use. The tactility of the controls was decent, allowing for track playback and volume with touch alone as well as taking calls without keeping eyes off the road or rather, walkway. One thing to note is that the controls are optimised for right-handed users. If there was a way to swap the controls for southpaws it would have been welcome. The Klipsch R5 Wireless proved to be a capable all-rounder for movies, gaming and music listening alike. In Command and Conquer: Rivals, Clash Royale and PUBG, the Klipsch R5 served up synth heavy soundtracks along with a fair modicum of directional audio to make gaming with it a very pleasant experience. The sound of incoming ordnance was sufficiently clear enough to approximate direction and to take cover. In movies, we tested it with the likes of Star Trek: Beyond which had enough explosions to make a Michael Bay fan giggle with giddy delight. Another acoustically challenging scene we tested it on was the club scene in Keanu’s Reeves’ first outing as John Wick where he makes his bloody entrance to the Red Circle club to the tune of Kaleida’s ‘Think’. The R5 managed to lend his blows a meaty thwack with a pleasant boom when he tests his marksmanship on the horde of hapless mooks in his way. 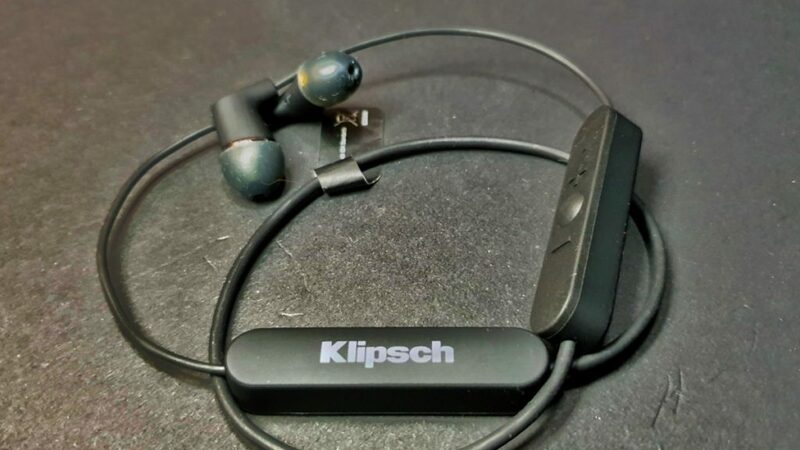 On the music front, the Klipsch R5 Wireless did not disappoint and was capable of delivering excellent vocal with a good amount of sound staging and some fair highs and lows on account of the excellent ambient audio suppression from Klipsch’s patented earbuds. Enya’s ‘Orinoco Flow’ which layers an increasingly complicated melody was handled in a capable fashion with her distinctive voice and the multi-layered acoustics served up in a distinct fashion. 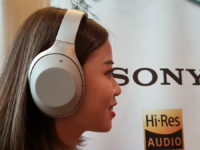 Joanna Wang’s ‘Vincent’, a simple track relying primarily on just her dulcet voice and guitar was handled competently. When taking calls, the R5 Wireless offered pretty good call quality on both sides. In terms of battery life, it ran close to the quoted eight hours, serving up about seven and a half hours of nonstop music and gaming before needing a recharge. If you need a comfortable and solid pair of wireless earbuds, the Klipsch R5 Wireless won’t let you down. 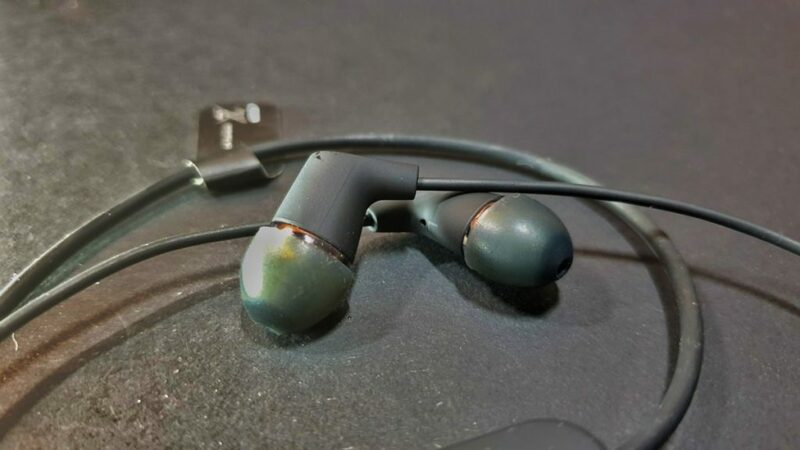 We say The Klipsch R5 Wireless offers good audio quality, excellent portability and superb comfort when worn. If you need a comfortable pair of wireless earbuds you can’t go wrong with this.